Star Fox: What Went Wrong? In an interview with MTV Multiplayer Nintendo’s Shigeru Miyamoto said that he was a big fan of the Star Fox series, and enjoyed making Star Fox games. He did also say, however that he was disappointed in the lack of sales the series had conjured up during its lifetime. Star Fox 64 has very impressive sales numbers but the three games after that one did not fare so well in copies sold. Why did the franchise fall so low on titles released after SF64? Was it because people were simply tired of the brand? Or was it something that Nintendo themselves could have avoided themselves? Maybe the reasons for low number are a bit more complex than that. Let’s try to see. Ah… This is where Star Fox has some of its best moments. It takes what was good about the SNES version and made it even better. It made good use of the Nintendo 64’s power, not only getting visual facelift and some tank and submarine missions, but you also get to HEAR the characters say memorable lines such as “Do a barrel roll!” “Can’t let you do that, Star Fox”. A few new characters get introduced, making a potentially deeper story than the SNES version. SF64 also came with the Rumble Pak, which soon led to future consoles to having force feedback built in to their controllers. And there was even a Vs. Mode where up to four Arwings can battle. Needless to say, this was by far Star Fox’s biggest game to date. And I’m pretty sure that nobody at Nintendo was disappointed at the sales for this title. This game is pretty much like no other Star Fox game. Actually the game wasn’t a Star Fox game to begin with. (Super Mario Bros. 2, anyone?) Rare was working on an adventure game called Dinosaur Planet on the Nintendo 64, having nothing to do with the Star Fox franchise whatsoever. 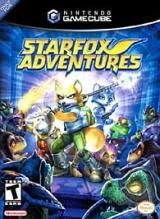 The game got delayed and eventually canceled so Rare could work on a GameCube version with Star Fox characters added. I wouldn’t call this a bad game. But besides a few token Arwing missions, this didn’t feel like a Star Fox game. It’s more like an adventure game with Star Fox characters. The disappointment from those who expect a sequel to a 3D flight shooter to be a 3D flight shooter is understandable. This game brings Star Fox back to its space-shooter roots. Not only it has the classic space shooter missions there are some missions where you fight on foot on your blaster (FINALLY!) or wage damage with your Landmaster tank. Not only this some sizzle to the Star Fox story but it also brings back some Star Fox Adventure character, confirming Fox’s mission on Dinosaur Planet (known in Assault as Sauria) as official canon. The controls were okay controlling the Landmaster was a little off, and the on-foot controls are awkward when compared to other shooters. Aside from the setback in controls it’s my favorite post-64 Star Fox game. I’m surprised that the game didn’t do well in sales. I don’t know if that is because it was on a lower-selling system or it was overwhelmed by competing title on other platforms. Not matter how many theories I come up with none of them can’t erase the fact that the game was not as well received when it came out. Star Fox Command is franchise’s first handheld title. It is also the first title to have online play via Nintendo Wi-Fi. The game retains the 3D flight scheme and throws in a game board where you have to direct your ship(s) towards the enemy before you get to fight them. There are multiple versions of the main story (and even multiple endings) which can be determined by which path you take in single player. This game you get to pilot different ships (almost each fighter gets their own ship). That’s a plus for me. But one setback for Command was that it that there is no spoken dialogue, which was part of what got me into franchise to start with. Also there is no solid canonical story behind wonder what truly happens, leaving a cluster of what ifs. The multi-player is not where it should be. The biggest complaint is that if you kill shoot down an enemy, you have to collect the star it leave behind or someone else steals your point. Also you can’t select the ship you want use in multiplayer. That’s quite a letdown when your get tease with the ability to play different ships on the single player missions. It’s nice to play Star Fox on the go but Command is not even close to the potential blockbuster it could have been. 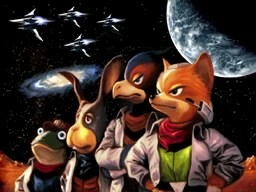 Nintendo needs to put out a Star Fox title for the Wii. I’m pretty sure it has been a topic in the Nintendo offices, but I guess you could have said the same thing for a Metroid game on the Nintendo 64. If such a Star Fox game were in the works, it would pay off to make use of the Wii Motion plus. And that is not saying that it should not use the option for a Classic Controller or GameCube controller. The main focus for development should be getting the air/space gameplay down pat, and then add a few foot, tank, and submarine missions into the mix. Online play would be nice if they add it but I would be happy if you can choose your ship in multiplayer. And last but certain not least, they should make sure the game’s story blows gamers way. If the developers do these things alone, they would be already making in bringing Star Fox brand back to its former greatness. 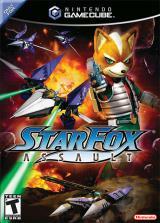 This entry was posted in Gaming and tagged Star Fox, Star Fox 64, Star Fox Adventure, Star Fox Assault, Star Fox Command. Bookmark the permalink.